My son, John Sherman, 41, was found dead in his van in Rio Rancho on December 27, 1998. 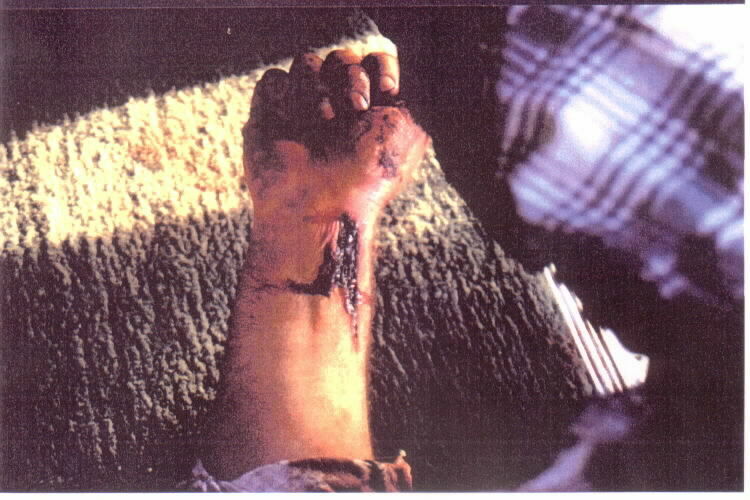 There were deep, ragged, vertical slash wounds on the insides of his arms and his jugular vein was cut. He also had a bruise on his forehead and abrasions on the backs of both hands. His lips were bruised, one tooth was knocked out, and the rest of his teeth were no longer standing upright. Nine Rio Rancho police officers answered the call, but not one of them made out a report. The case fell into the jurisdiction of the Sandoval Sheriff's Departmen. 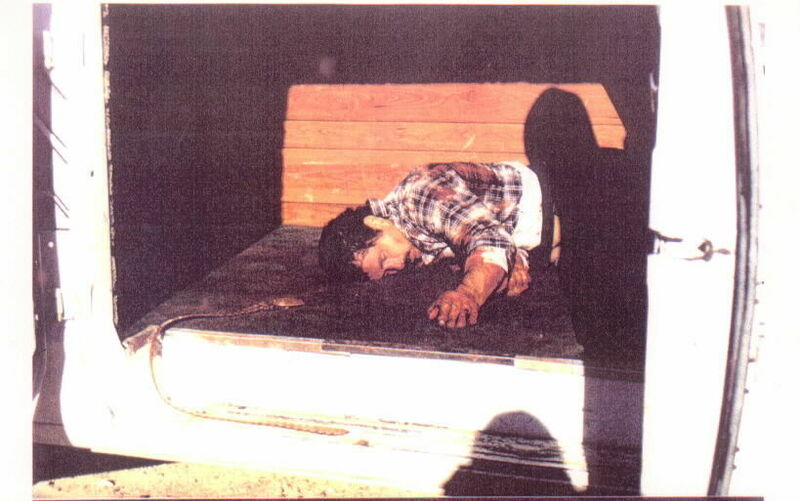 According to the case detective, Pete Montoya, all the deputies at the scene thought it was a homicide until Steve Brand from the Medical Examiner's office, (a man who, according to Deputy District Attorney Charlie Brown, had very little training), arrived at the scene and announced it was a suicide. At that point, to quote Detective Montoya, "The officers said 'Bag the body, let's go home.'" Detective Montoya told me he thought it was a homicide. Sheriff Lieutenant Steve Reynolds told John's father that he thought it was a homicide. Is it standard procedure when a dead body is found to not investigate it as a homicide even though you think it is? Everybody shrugs me off as a grief-crazed mother, but I've done my homework. I have copies of the police reports, the autopsy report, the towing report, scene photos, the tape of the 911 call, and a copy of the dispatch report. All evidence indicates that John was murdered and, for whatever reason the sheriff's department is trying to conceal that. The autopsy report is a joke. So many statements are wrong that it makes me wonder if an autopsy was even done. The report says John's heart was "healthy and unremarkable" -- John was born with a hole in his heart and it was so enlarged that it caused one side of his chest to bulge out. 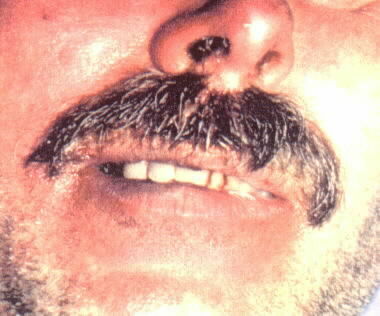 The report says his teeth were in good condition, yet photos show extensive damage to his teeth and mouth. The report mentions that the backs of his hands had abrasions, but there are no photographs of those abrasions, and there isn't any mention of the bruise on his forehead. It's like the person who did the autopsy was told in advance that the death was a suicide and he made his report fit that diagnosis. Detective Montoya gave me five different versions of where they found John's body. The man who found John's body and called 911 reported finding him in the driver's seat scrunched up in a ball. He gave a demonstration to show how John was positioned. Even Detective Montoya, when I first spoke with him, said John's body was in the front seat. The officers who went to inform John's ex-wife told her John's body was in the front seat. Later they all changed their story and said John was in the back. Apparently the deputies moved John's body from the front seat to the back of the van before they took pictures. I can only imagine they thought the back of the van was a more reasonable spot for someone to commit suicide. The crime scene photographs are utterly bewildering. My son was covered with blood, but the pictures show hardly any blood in the front of the van, and a blood spatter expert tells me the blood in the back was transferred blood that came off his clothing. That expert believes John was murdered somewhere else and his body was moved to the van. I asked Detective Montoya if there was blood on the ground outside the van, and he said no. 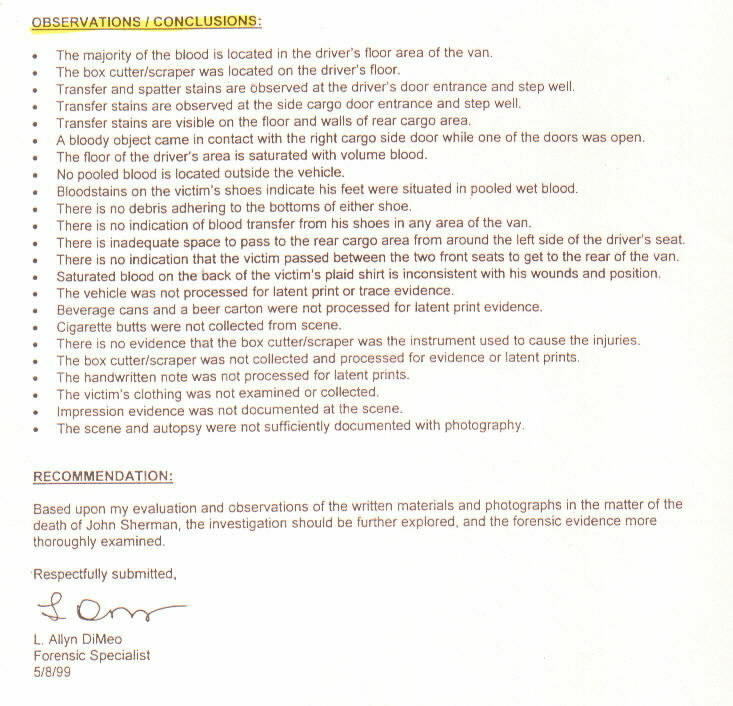 Then I got hold of the crime scene photos that show blood on the ground, and he had to admit it was there. My son's case was never investigated! The van was never processed, and the ground wasn't photographed for footprints or tire tracks, which the man who found John's body says were on top of the tire tracks from John's van. No prints or blood samples were taken. The alleged weapon, a razor scraper, was not seized as evidence. When I asked Detective Montoya about the razor scraper, he said "Oh, I left it in the van. I couldn't get any prints off of it and it was in a pool of blood, so I just left it there." I requested that the instrument be checked by a forensic expert to determine if it really was the weapon that slashed my son's body. Detective Montoya didn't want to do that. I took the autopsy report and the scene photos to Dr. Glen Lipson, a suicide expert who was head of forensics at the Menninger Clinic and now resides in Southern California. His reaction was, "This wasn't just murder, this was over-kill." The police don't even want to talk to Dr. Lipson. Our family believes that John was murdered for passion and profit. There's a suspect who had a strong motive for wanting John dead. The actions of that suspect have been very suspicious. Claiming to be a close relative of John's, (which wasn't true), this suspect told the funeral director that John had no children, (he had three children), and made arrangements for his body to be immediately cremated. John's daughter, who lives out of state, called a friend of hers in Rio Rancho and asked her and another friend to post reward flyers, which they did. The suspect took them all down. Yet the police refuse to investigate that suspect or anybody else and have closed the case as a suicide. 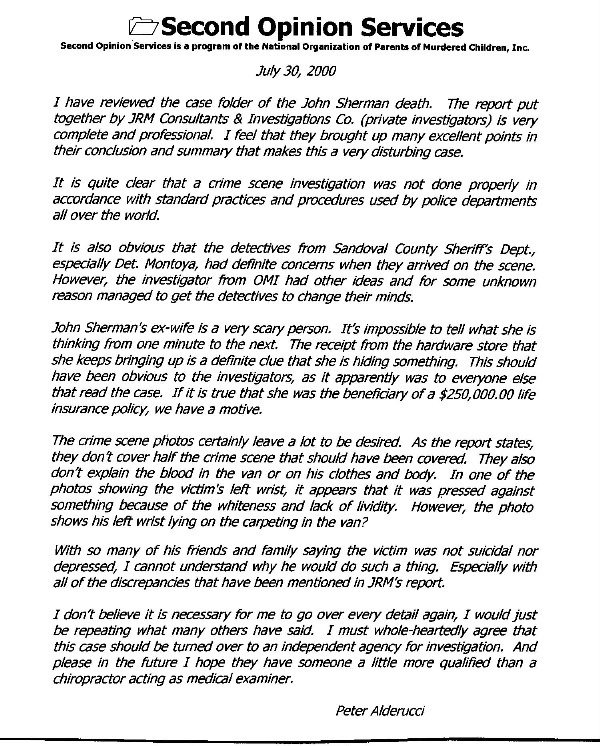 A review by a homicide expert with the Second Opinion Service, sponsored by the Parents of Murdered Children, determined that John's case was not properly investigated and should be reinvestigated by an independent agency. A forensic expert on the Second Opinion Board of the Rio Rancho Observer's Unsolved Crimes Network made the same determination. I took the case to the attorney general's office two years ago, but they haven't done a thing. I also met with an F.B.I. agent, who is a very nice guy. He indicated that in his opinion something stunk, but he told me that errors in handling of an investigative matter don't fall under federal civil rights laws. In other words, the F.B.I. can't step into the case unless I prove malfeasance. It's not enough that police didn't do their job, I have to prove they acted out of malice! How can I prove what was in their heads when they refused to do an honest investigation of John's case? I don't understand why the burden of proof is on my shoulders -- why it should be up to me to prove malfeasance. I would think the lack of official professional police work would speak for itself. If my son's name were "Kennedy" this case would have been solved long ago. To the people who loved John, his case is just as important. In June, 2002, I met with the new Sandoval County Sheriff, J.P. Trujillo, who agreed to reopen John's case, but that hasn't happened yet. While there, Sheriff Trujillo handed me a manila folder with a yellow post-it note stuck on the front which said "John Sherman--Case Closed." It held three pieces of paper. Sheriff Trujillo told me that prior to my arrival he discovered that the previous sheriff had shredded the entire case file on my son. There was nothing left but a partial autopsy report.